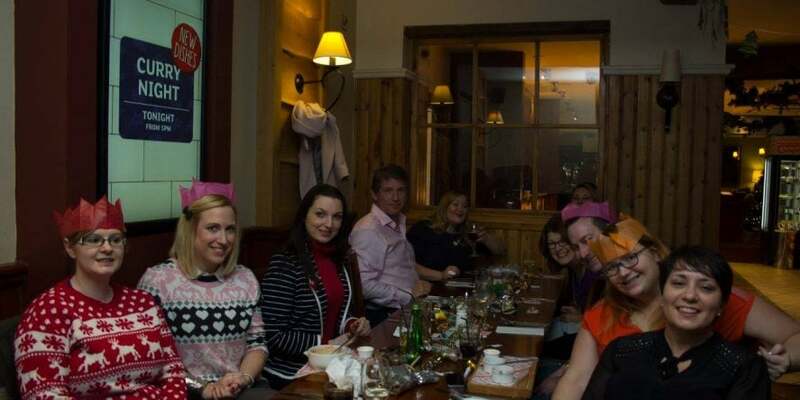 It’s that time of year again when we are having our Christmas Dinner – which a great chance for many to have a ‘work Christmas dinner’, which is not always possible when you’re a small / one person business. For the 3rd year we will be having this Christmas Dinner at The Hampton, 3 courses are £13.49 and by booking by the end of October we save 30% off this price (meal only, not drinks). * Roast Turkey Beautifully hand-carved slices of tender turkey with fluffy roast potatoes, Yorkshire pudding, chipolata, Brussels sprouts, root veg mash, a sage, cranberry and onion stuffing and gravy, to help get into the festive spirit! * The Ultimate Festive Roast Feeling extra hungry? You can add even more turkey, roast potatoes, Yorkshire pudding and gravy for just £1.49! * Salted Caramel Profiteroles Filled with cream and smothered with salted caramel flavour sauce, all served with whipped cream. Absolutely irresistible! Please confirm your booking asap and also let me know what you would like to order, we hope you can join us for festive celebrations?